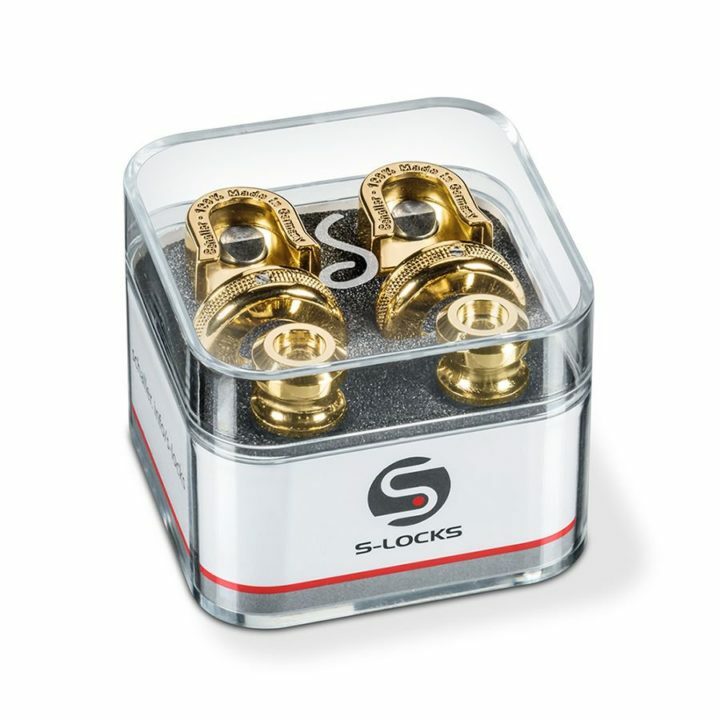 The new Schaller S-Lock system replaces the discontinued Strap Locks. These new ones are still compatible with the older Schaller Strap Lock buttons as fitted to Fender USA Guitars. WARNING – we recommend that these are fitted only by an experienced guitar technician. New and unique solid one-piece strap button in hardened steel with self-tapping wood thread. Simply screw it on with an Allen key (size 3 mm/ 1/8″). 4 mm/ 5/32“ screw with self-tapping wood thread. Fits all existing strap buttons incl. Gibson for perfect replacement without adjustments on existing holes and screws. Including high-grade felt washers for ultimate protection of guitar’s finish.